Silicate Pigmented Mineral Stain/Glaze/Lazur system for use on stone, brick, concrete and other masonry or mineral substrates. Offering application design flexibility from completely opaque to almost transparent finishes, this product produces a natural looking mineral finish which can be used to blend colors or change colors without making the surface appear painted or coated. The possibilities are almost limitless. Manufactured according to the German standard VOB/C DIN 18363 2.4.1. 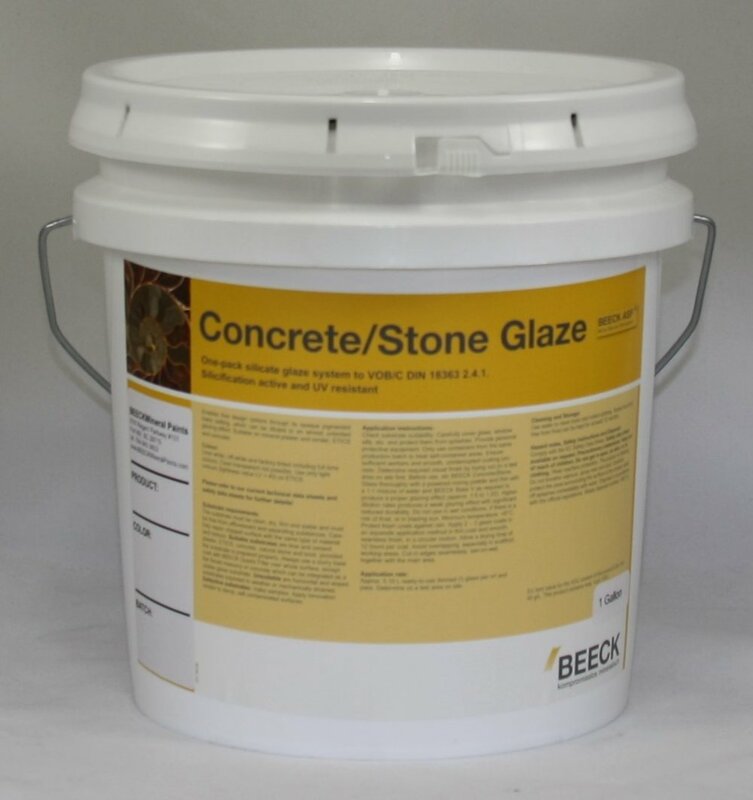 BEECK Concrete/Stone Glaze is a silicate pigmented mineral stain/glaze/lasur finish manufactured to the German VOB/C DIN 18363 2.4.1 standard, for use on exterior and interior applications. It is suitable for use on stone, brick, concrete and other masonry or mineral substrates. It is also ideal for historic listed buildings. BEECK Concrete/Stone Glaze offers exceptional application design flexibility, ranging from completely opaque to almost transparent finishes, producing a natural looking mineral finish which can be used to blend colors or change colors without making the surface appear painted or coated. It is also commonly used to create a tone on tone decorative old world mottled finish. The possibilities are almost limitless. Silicate mineral bonding in combination with pure mineral pigments provides a long lasting UV stable color that truly stands the test of time. BEECK Concrete/Stone Glaze is available in white and all 200 colors in the BEECK Mineral Paint Color Chart. Custom color matching is also available.